Exotic Automation & Supply is proud to launch a new mobile service vehicle to our Retail / Service Team. The new 24/7 Transair Aluminum Pipe Installation Truck comes to your site to install and service compressed air piping systems. 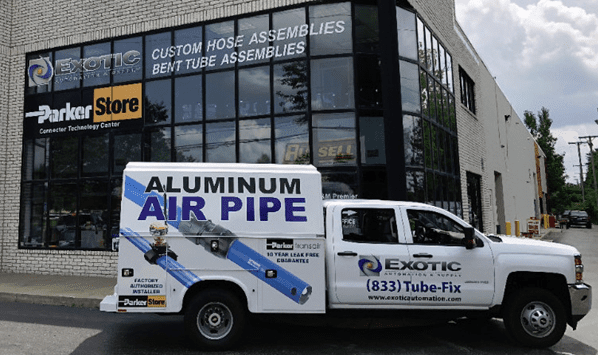 Exotic’s factory authorized installers ensure a 10-year leak free / silicone free warranty and can install systems ranging from 16.5mm (1/2in) to 168mm (6in) in diameter.